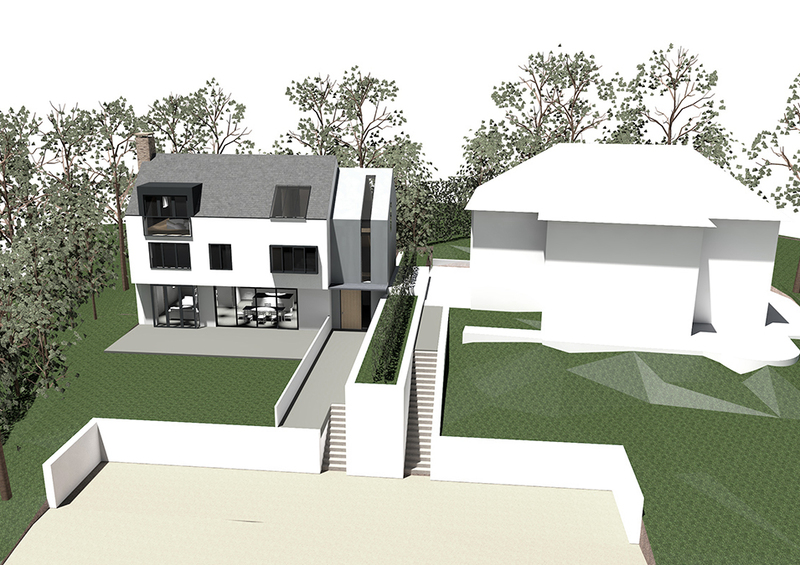 We’ve been working on proposals for a new build house in Wimbledon, London Borough of Merton. Our client is looking to build a house for himself on this existing plot, using the sale of the existing house to fund the project which is located within a conservation area. 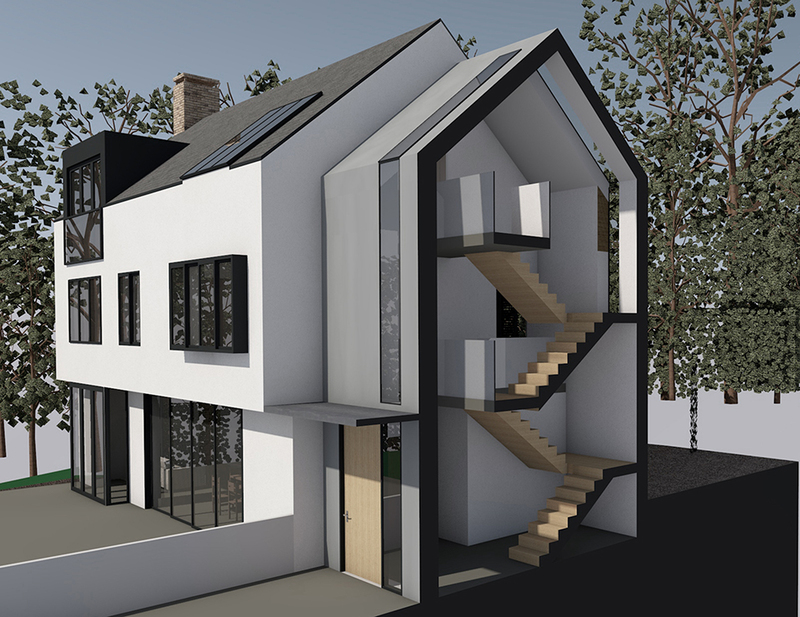 Working closely with the conservation officer, we have developed a crisp modern vernacular design, using a palette of white render, slate roofing and metal windows – to form a 3 storey 4 bedroom family house. The proposal sits back into the slope of the site, with all the primary rooms addressing the south facing elevated views and the best sunlight. A subservient stair tower articulates the vertical circulation and breaks up the visual bulk of the house. The lower ground floor will be an open plan living, kitchen and dining area, served by WC and utility rooms. The first floor is a mix of study, and guest bedrooms all with ensuites. The top floor is one master suite, with a large Juliette balcony/dormer onto the master bedroom. 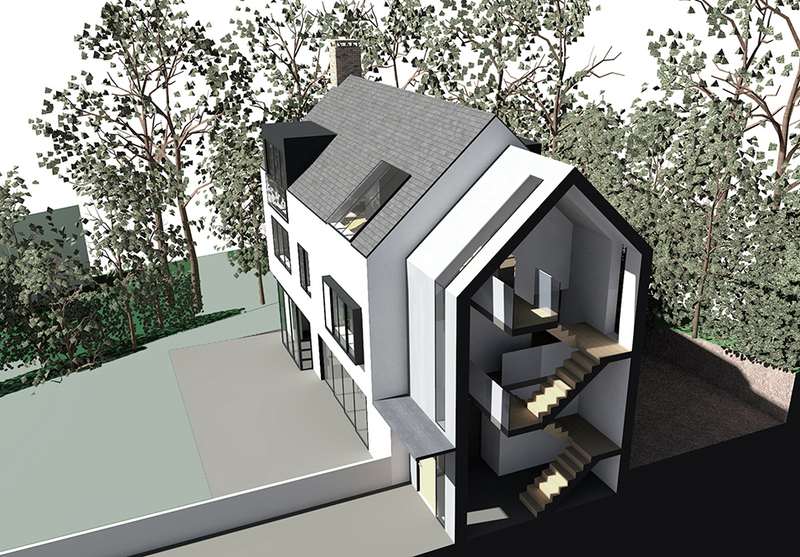 The new build house in Wimbledon will be designed to meet very high levels of thermal insulation and energy efficiency.